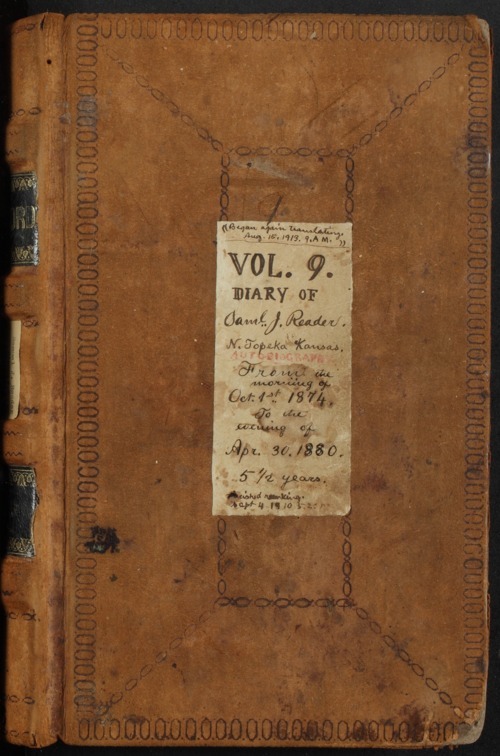 Volume nine of the diary of Samuel James Reader who lived near Topeka, Kansas. Reader attached newspaper clippings of personal interest to some pages of his diary. In addition to English, Reader writes the diary in shorthand.